Good Morning Green Panda Friends. I am writing to you today from the comfort of my own home because I am officially on vacation for one week. I have no plans other than to relax, sleep, and enjoy the last few weeks of my summer. The end of summer means that it’s time for college students to go back to school. With that being said welcome to the first post in our new Going Back to College Savings series. I have to be honest that I really miss the first day of the new school semester. 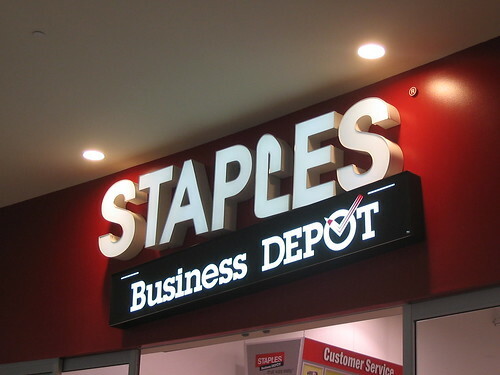 Sometimes at the end of August I go to Staples and buy office supplies, pretending they are actually school supplies. I really miss back to school shopping, and I never thought I would say this but now that I work 9 to 5 in an office, I really miss the first day of going back to school. It’s weird because we go to college in order to get a job, but now that I have a steady 9 to 5 Monday to Friday job I miss the schedule flexibility of attending college. Moving out of our parent’s house is definitely a financial milestone in our lives. Going away to school marks a new beginning in both our personal and our financial lives. College students are young adults who now have to learn how to manage our schedules and our money. As a college student we must learn to manage our money in order to pay for tuition, housing, books, and other expenses that come with attending college and moving out of our parent’s house. I moved away from home to attend college with $200 in my pocket and another $150 in my bank account. I chose to live off campus in an apartment with a roommate. I chose not to live in residence because it is very expensive and I wanted to have the true experience of living on my own. The two most important decisions that I made when I moved from my hometown to my new town to attend college were regarding my rent and my job. I worked for a major retail chain so I requested a transfer to my new town, this guaranteed that I would have a continuous income and not have to worry about my cash flow. I paid my first month’s rent in advance and therefore I had one month to get settled in and not worry about the stress of paying rent. If there are only two things that you should have prepared for your first week back to school it’s your housing and your income. Whether you live off student loans, your parent’s money, or you work part time, setting a personal budget and knowing your expenses are very important. – All of your personal items. Don’t hope to buy your favourite soap or conditioner because you won’t be able to afford it, and you may not have time to go buy it. – Food. Bring as much non perishable food from your parents house as possible, this will give us a few days grace before we find a grocery store. – A Good Long Distance Phone Plan. You will miss home more than you think especially if you are attending college in a town away from your parents and friends. – High Speed Internet. Please do not rely on your college library or local cafe for a Wi-Fi connection. Your grades are too important to depend on someone else’s connection. – Cable is not a necessity. Living on a student budget means that all of your money goes towards school related expenses, not towards watching reality television. – Where the closes bank branch is. No matter how much we try and how many lists we make, nothing ever goes totally as planned. Our account may be blocked, our debit card can be demagnetized, or maybe we ran out of money and need to make an emergency call to our parents. Regardless of the reason it is safe to say that we will sooner or later need to visit our bank branch. I’m getting all nostalgic reading this post! This is the second fall that I’ll be NOT going back to school since graduating, and I really miss it. I want to go shopping for new pens and notebooks, too! Haha. Hey Melissa, I know how you feel 🙂 Isn’t it funny that we (might have) hated being in school when we were there, but now that we aren’t there we miss it so much?!?! @ Melissa and back to school shopping! I miss that a lot!! !